A breath between scenes for Jerusalem at Opera Royal de Wallonie. Even when your family can't be there, they're there. A little Princess Jasmine action! A much needed break between acts with La Maestra, Speranza Scappucci! Photo Call for Mimi and Rodolfo (Jason Slayden) at Virginia Opera. A visit to the Costume Shop with Lola the Wonder Pooch. Taking a bow with Virginia Opera. 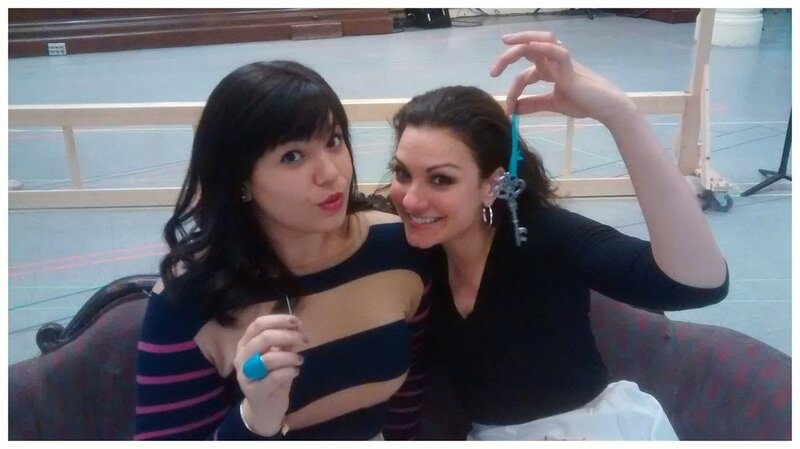 Mimi & Musetta (Zulimar Lopez-Hernandez) getting ready for places! Because it takes a village. With beloved coach, Anthony Manoli in NYC. Photo Sesh with the wonderful Fay Fox! Getting ready to rock my first Beethoven 9 with Jonathan Boyd and Mark Walters! 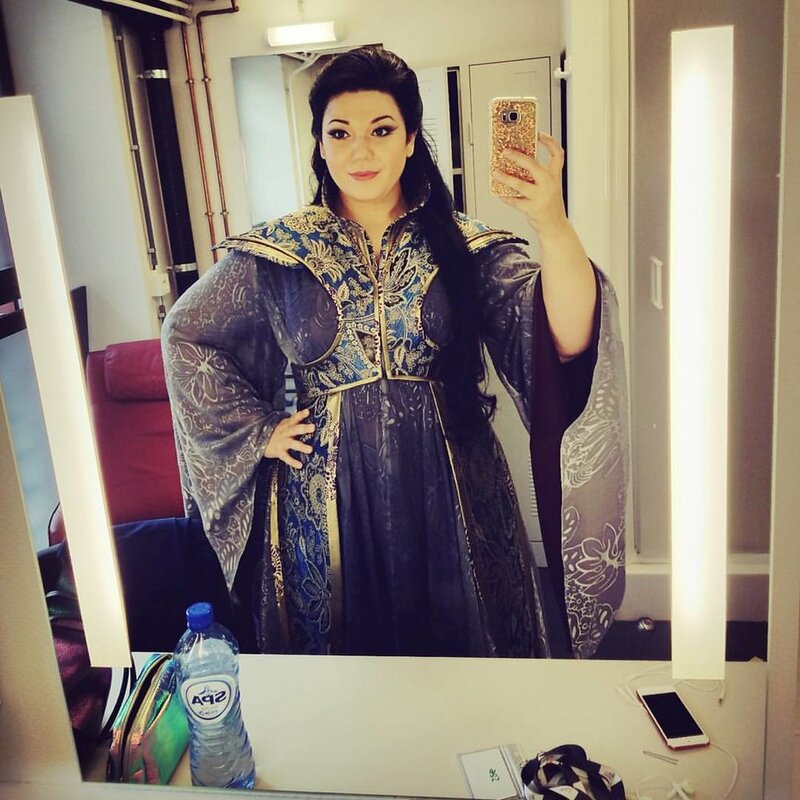 Because opera is super serious. For real. Those are our serious faces. Putting on my game face! Waiting for my entrance behind the scrim. Everybody can use a hand, even Scarpia. First day of work at the Metropolitan Opera! Carengie Hall debut with my longtime mentor, Warren Jones. Dream. Come. True. The day my whole life changed. With Renata Scotto and Roberto Aronica, backstage at the Lyric Opera of Chicago. Last bow for La Rondine at Oper Leipzig. With the incredible Neal Goren, post-performance in Venice, Italy! Backstage tomfoolery with the one and only, Nicole Cabell. The Dream Team! La Rondine with Joseph Calleja at Frankfurt's Alte Oper. Celebrating with Marilyn Horne, post Carnegie Hall MHF Gala! Sometimes you wish the notes would just jump into your head. While napping. Because there's no 'Life' on the road without Lola the Wonder Pooch!